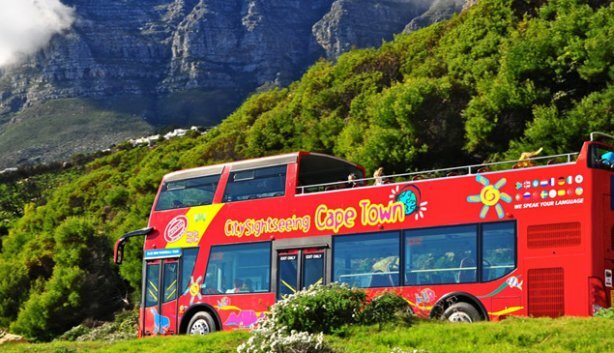 Jump on a big red bus and enjoy a lovely tour of Cape Town, hopping on and off at various stops. These bus tours are done in double decker, open-top buses, currently offering different tour routes around Cape Town. Other tours include boat cruises around the waterfront, and motor sidecar tours to Cape Point. Buses follow a timetable that can be found on the bus stop signs, brochures, and online. Tickets may be purchased online or at the main ticket office in the V&A Waterfront. 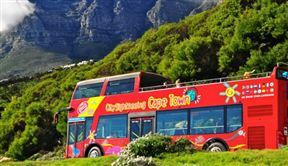 City Sightseeing Bus is 2.4km from the centre of Cape Town , the nearest airport 21km (Cape Town International Airport).